Adapted with permission from Octopus' Garden fanzine, Volume 25, Issue #3, March 2016. Review by Tom Aguiar. Welcome to another journey through the literary world of The Beatles. On this trip we’re going to look at Donovan Day’s 2015 book Get Back: imagine…saving John Lennon, an exciting fiction story that poses the question: what if you could have saved John Lennon? So turn off your mind, relax, and float downstream because the bus is about to leave the station. Get Back: imagine…saving John Lennon by Donovan Day. Park Slope Publishing, Brooklyn, New York. Imagine that you have the opportunity to go back in time and save the life of John Lennon. Would you do it? Would you risk changing history? And would it be for the better? Time travel is a question that has been discussed by scientists for ages because changing one thing in history will change another, and so on. And what effect would it have on the time traveler’s own life? Furthermore, is it even possible? Donovan Day tackles these very questions in this, his first book, and does so in a way that answers many of the questions. It is not the first time that someone has written about changing the past through time travel. Some books have treated this topic either from a horrifying point of a view or as a light-hearted comedy. It’s a tricky challenge to tell the story without slipping into the sci-fi genre but Day is successful at accomplishing the task. The story revolves around Lenny Funk, a 17-year-old spending the summer in New York City with his grandparents. To make some spending money, Lenny takes his guitar down into the subway station and sings. He is attacked by some punks who beat him and steal his guitar. The resulting concussion, along with listening to his grandfather’s old iPod Nano loaded with songs from the 1960s and 70s while falling asleep, transports young Lenny back in time to meet one of his heroes, James Taylor. There are a number of twists and turns within the story and the first comes when a girl he meets on the subway named Yoko (named after the Yoko) listens to the story and tells Lenny that her grandmother, who died when Yoko was four years old, actually knew The Beatles. Lenny then takes another solo trip back to the 1960s where, posing as a reporter, he actually meets the band. It isn’t long before John Lennon suspects the truth about Lenny and the two become friends. Lenny then takes further trips back in time with Yoko and the journey ramps up into an exciting ride of “what ifs,” as Lenny begins to change events that happened in the past as we know it. Upon each return trip, Lenny checks to determine whether he was successful but soon discovers that many of the events of his own history have also been affected, resulting in changes in his life and of the lives of the people close to him in 2015. There are characters throughout the book with names reminiscent of Beatles songs, but it is never overdone. In fact, it enhances and adds to the story. You can accept the names as the coincidences that they are intended to be. Day is a fan of The Beatles and the other musicians portrayed in the story and he gets their attitudes and mannerisms “spot on.” Day’s vision of what John would be like in 2015 is intriguing and very believable. The unintended consequences of his actions become real and present problems in Lenny’s life, some extremely painful, and Lenny is soon faced with the serious question: were the changes he made worth it? Was changing history the right or wrong thing to do? Lenny is faced with some difficult and heart- breaking decisions as his ability to return to the past is decreasing and will soon be gone. There are many twists and turns that will keep the reader immersed in the story, but the final twist will surprise you. 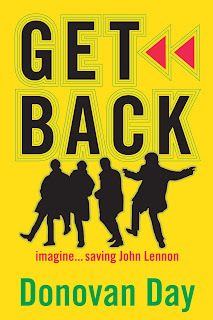 Get Back:imagine…saving John Lennon is Day’s first book but it won’t be his last, as his talent with a challenging topic like time travel presents an exciting and dramatic story that will surprise and satisfy. A great story by a talented author. I give this book a grade of A+. 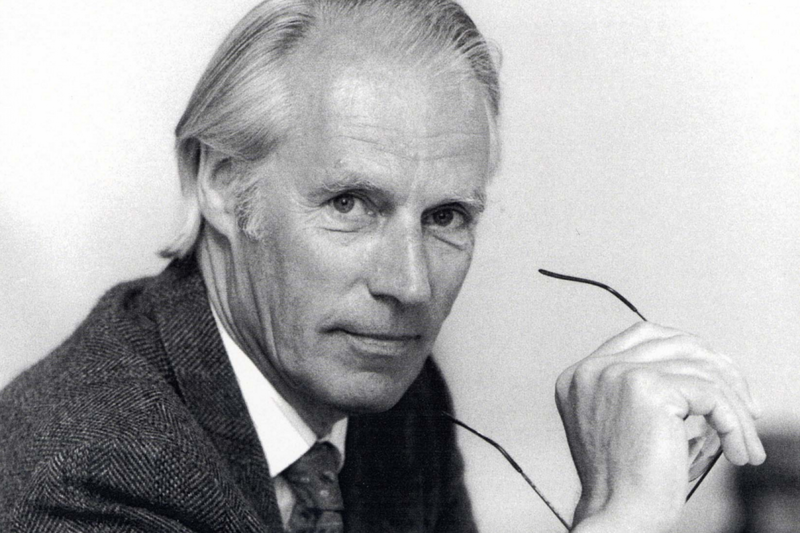 By now you have probably already heard the sad news of George Martin's passing, on March 8, 2016. As the first record executive to "discover" The Beatles, as a mentor, as a collaborator, as a schoolmaster/father-figure, and as a friend, George Martin has long been considered "the Fifth Beatle." And rightly so. Here are three reasons why he deserves that honorific title. When so many record executives weren't willing to take a chance on this unpolished, scruffy group from Liverpool/Hamburg, George Martin saw the potential in their energy and in their charisma. He correctly understood that the raw talent could be polished up and made into something wonderful, so he took the chance and signed them to a record deal. Approaching George Martin and Parlophone was a last gasping effort, it's probably fair to wonder if The Beatles would have ever broken onto the professional music scene if he hadn't followed his instinct. The story goes that George Martin really wanted The Beatles to record "How Do You Do It?" as their first single, because he correctly identified that song as a hit. They didn't like the song, so he did what any good mentor would do: he challenged them to write something better. When they showed him a lethargic, plodding version of "Please Please Me," he didn't dismiss it out of hand, he saw the potential in the song and showed them how to make it more commercial: speed it up, add some harmonica, change the harmonies, back off on the lead guitar. In the end, legend has it that George Martin recorded the song and told the lads, "you've just recorded your first number one song." He was right. Some producers would have been tempted to forever freeze The Beatles in their lovable, mop-top image once they proved to be an international sensation. Why change a wildly successful formula? But when Paul McCartney wrote songs like "Yesterday" and "Eleanor Rigby," or John Lennon wrote songs like "Tomorrow Never Knows" and "I Am the Walrus," George Martin helped them break the mold by actively getting involved. Would "Yesterday" have been the hit that it was without George Martin writing the string arrangement? Probably not. Rest in peace, Sir George. Your name liveth for evermore.